Formulated with pink algae extract and pink opal powder, this is a limited edition illuminating blush available in three shades. The product is packaged in a unique travel-friendly jar. The base houses a flattened sponge applicator while the blush (4.5g of pressed powder) is encased within the shiny silver cap. The blush pan is attached to a spring-loaded base, which makes it tricky to pick up the powder as the pan easily retracts whenever pressed upon. Therefore, I'd recommend using a gentle swirling motion instead of pressing into the pan to get more product. "01 Luminous Pink" is a lovely light pink with a peachy undertone. The formulation is pretty sheer; it's buildable but the color really only gives a translucent flush. Additionally, the blush is a bit patchy. The sponge applicator makes it difficult to easily blend the color but even with a normal blush brush, the formulation applied unevenly. 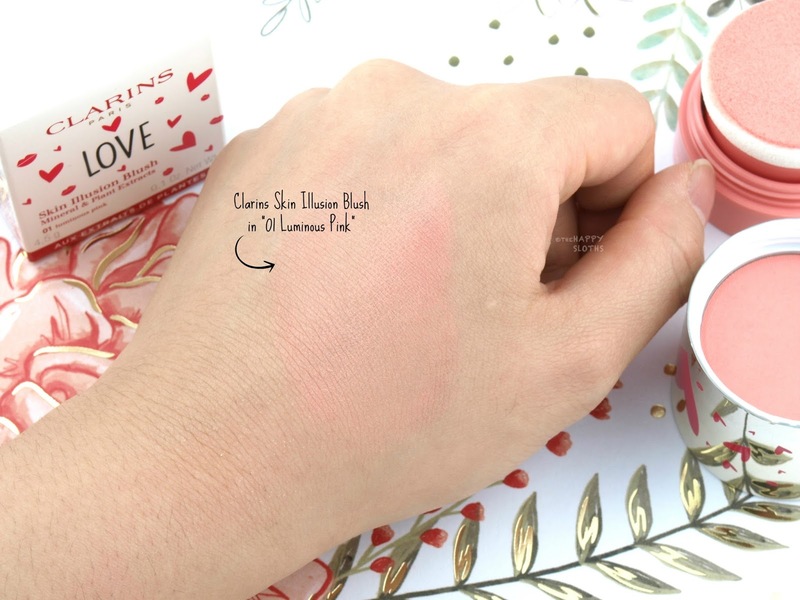 If you are looking for a great fool-proof everyday blush, I'd recommend checking out the Clarins Blush Prodige range (reviewed here and here), which is hands down my favorite blush of all time. 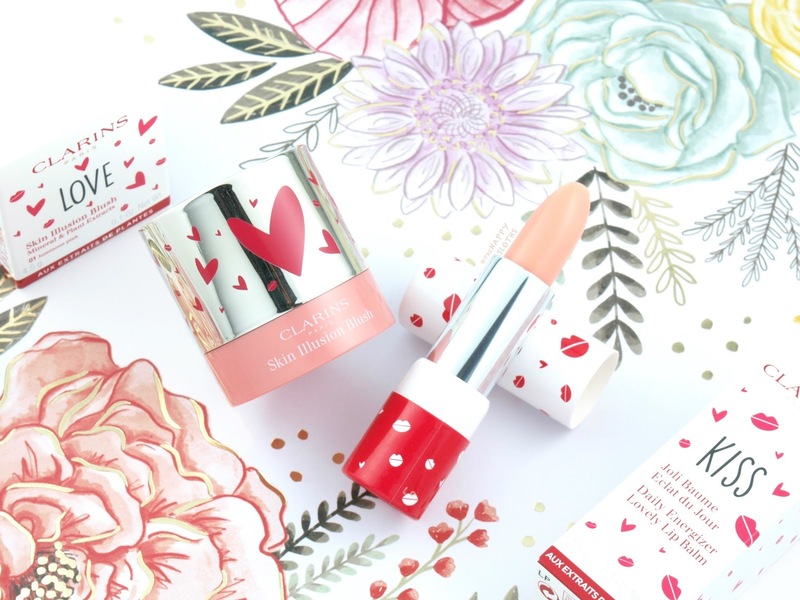 Packaged in a simple cardboard paper tube printed with cute lip designs, the Daily Energizing Lovely Lip Balm is made with cocoa butter, shea oil, and red currant extract. 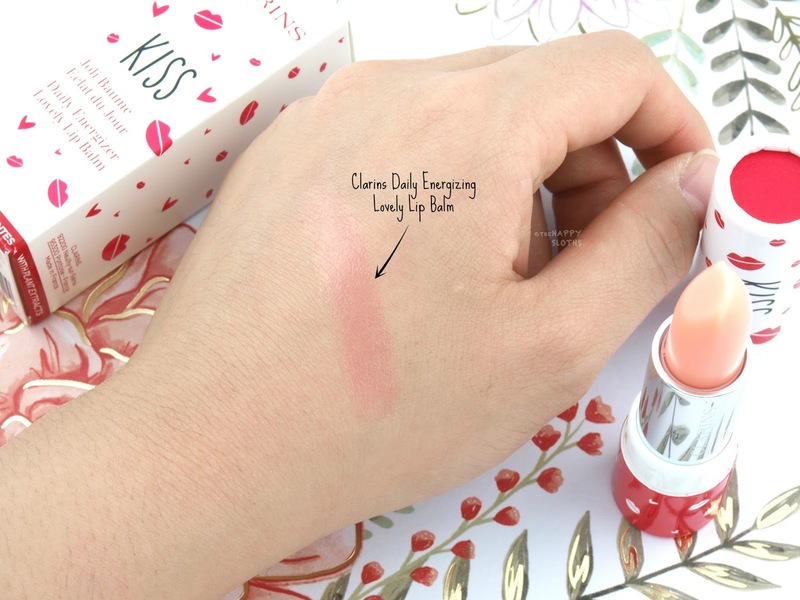 Although the balm swatches clear at first, it adjusts to the lip's pH and turns to a gorgeous shade of pink. It's pretty similar in concept to the Dior Lip Glow (reviewed here) and the Givenchy Le Rouge Perfecto (reviewed here) but the price point is a lot more affordable. In my opinion, the formulation could be longer-lasting. The lightweight texture feels slick and hydrating but it disappears within a few hours. With that said, the balm does stain so even when the moisture fades, the lips are left with a pretty pink tint! 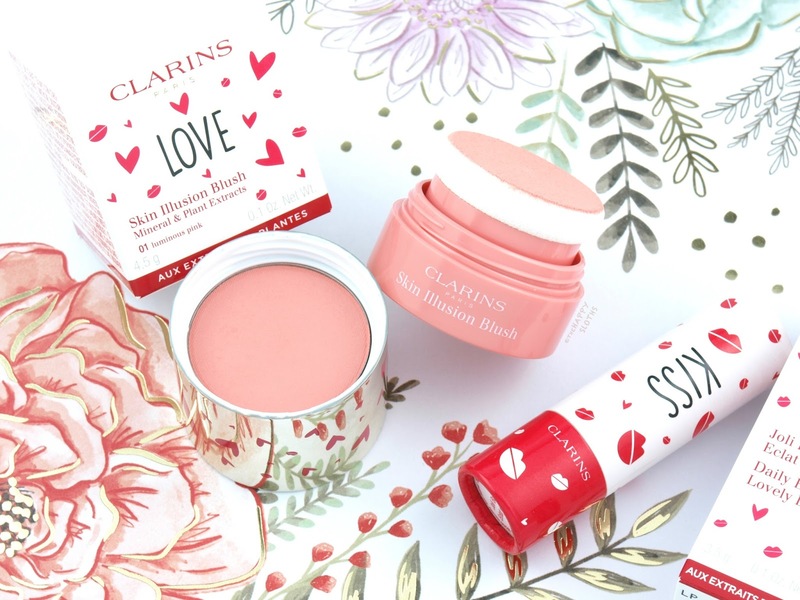 The limited edition Clarins Daily Energizer Lovely Lip Balm and Skin Illusion Blush are only available on Clarins.com. Please Note: The Skin Illusion Blush appears to have sold out on the Canadian website. Given that it is a limited edition product, it probably won't be restocked. However, Clarina often brings back popular limited edition items so I wouldn't be surprised if this makes a reappearance in the future.